Special Episode - Simon & Garfunkel Dan Sterenchuk and Tommy Estlund are honored to have as our guests, Paul Simon and Art Garfunkel! "Simon & Garfunkel were an American folk rock duo consisting of singer-songwriter Paul Simon and singer Art Garfunkel. They were one of the best-selling music groups of the 1960s and became counterculture icons of the decade's social revolution, alongside artists such as the Beatles, the Beach Boys, and Bob Dylan. Their biggest hits—including "The Sound of Silence" (1964), "Mrs. Robinson" (1968), "The Boxer" (1969), and "Bridge over Troubled Water" (1970)—reached number one on singles charts worldwide." 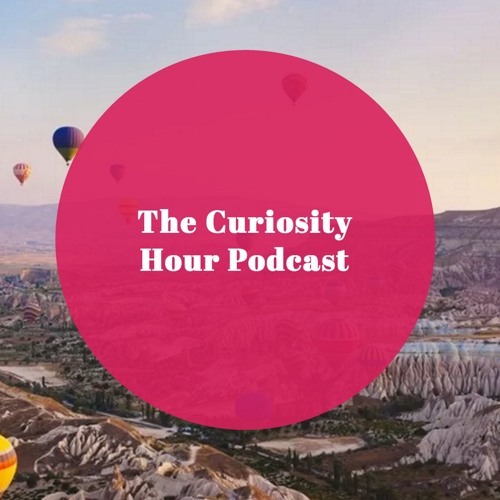 (from Wikipedia) The Curiosity Hour Podcast is hosted and produced by Dan Sterenchuk and Tommy Estlund. Please visit our website for more information: thecuriosityhourpodcast.com Please visit this page for information where you can listen to our podcast: thecuriosityhourpodcast.com/listen/ If you would like to share your story or have a suggested guest, please complete the "Contact us" form: thecuriosityhourpodcast.com/contact-us/ Disclaimers: The Curiosity Hour Podcast may contain content not suitable for all audiences. Listener discretion advised. The views and opinions expressed by the guests on this podcast are solely those of the guest(s). These views and opinions do not necessarily represent those of The Curiosity Hour Podcast. This podcast may contain explicit language.